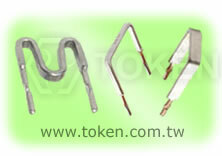 Token's "tight pitch" version of its open air metal alloy current sense resistor (OAR) need less PCB space. In response to requests from power electronics design engineers with the means to squeeze more current-sensing capability into crowded power supply designs, Token Electronics has developed a "tight pitch" version of its open air metal alloy current sensing resistor with ratings as high as 5W in a reduced PC board footprint and longer thermal path. Designated the OAR Series, these through-hole devices offer a high current, flameproof alternative to conventional axial devices and flat chips for current-sense circuits where PC board space is at a premium. The open air resistor's footprint is reduced by extending the height of the device above the board, thus keeping the resistor element's "hot spot" safely off the PC board and providing for increased air circulation under it, which in turn provides increased heat dissipation and cooler operation. The OAR devices with increased height improve cooling efficiency, and because many power supply designs are already tightly-packed at the PC board level, the additional height does not create any profile issues. The OAR series feature a reduced pitch, or spacing between the leads on the circuit board with a corresponding increase in the board mounted profile. The OAR low resistance value resistors are power rated for 1W, 2W, 3W, or 5W at 85°C, with resistance values from 0.05Ω to 0.005Ω, with tolerances down to ±1%. They feature TCRs as low as ±50ppm/°C and inductance values in the single-digit nanohenry range (10 nH Max.). Operating temperature range is -40°C to +125°C. The flameproof OAR resistors are constructed of a wire resistive alloy with welded copper leads to prevent solder wicking, which can change the device's resistance value in the circuit by as much as 30%. The Low Ohmic Value Current Sense (OAR) Resistor is available in bulk packaging and is RoHS compliant and lead free. For non-standard technical requirements and special applications, contact us with your specific needs. 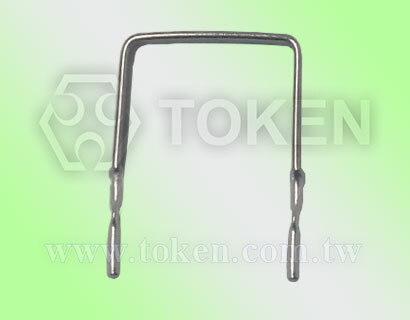 Download PDF Specification Metal Alloy Current Sense Resistor. Low inductance. Solderable copper leads (60/40). Radial leads, low resistance value 0.05Ω ~ 0.005Ω. High stability open-air style. Precision alloys resistive element. Pb-free and RoHS compliant. Standard tolerance ±1%, ±2%, ±5%. Inverter and Switching Power Supplies. CPU Drive Control, Power Tool Motor controls. Residual Battery Power Detection, Current Sensing. Automotive, Feedback System, Power Supply Shunt, Current Detective.